Savolainen’s engineering offices in four cities were already using Autodesk Revit®, without add-ins, for structural design work, though for bigger projects it found element creation was slow and managing assemblies quite difficult. The firm was also using an older 2D CAD programme, JCad, for precast elements. It wanted a full modern Revit-based 3D modelling solution. “The software was getting outdated and we wanted to do both types of work under the same program so it would be easier to complete complex projects reliably,” says Tarmo Lähdesmäki, a construction engineer at the company. “Also, 3D is becoming the standard in our business and we didn’t want to get left behind,” he says. The team began exploring the market for potential solutions. 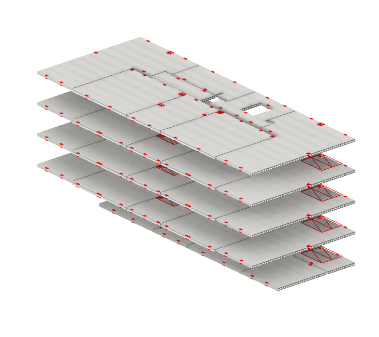 AGACAD’s comprehensive Precast Concrete suite of BIM software, and especially its Smart Assemblies and Sort Mark tools, seemed to best address Insinööritoimisto Savolainen’s needs. So the company got a free trial, was convinced, and proceeded to integrate the powerful add-ins into its processes. Smart Assemblies automates the production of documentation for combinations of structural and architectural elements in Revit. It combines hosted or nested concrete and steel elements into a single Revit entity and generates all needed views, rules-based dimensions and assembly sheets based on rules and templates. It also updates existing shop drawings when changes are made to the project. Sort Mark is a Revit extension for quickly sorting/renumbering elements and grids on the basis of any available parameter and adding any needed additional information to them. It thus eliminates a huge amount of manual work. “We saw the potential immediately,” Mr Lähdesmäki says, adding that the Smart Assemblies dynamic update feature in particular is “a game-breaker”. 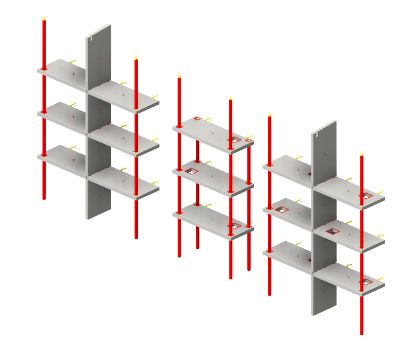 Other tools in the Precast Concrete suite include Floor Panel Layout for planning prefabricated floor panels and splitting them into slabs, Smart Details which automates the insertion and management of intelligent details throughout BIM models, and the Smart Walls toolbox for easy wall and join management. Insinööritoimisto Savolainen has enjoyed gains in efficiency and quality since it started using the AGACAD software, which it now considers essential for element design and shop drawings for both precast concrete and steel. “Sort Mark is an essential tool when creating complex structural elements with lots of components that all need to be numbered. 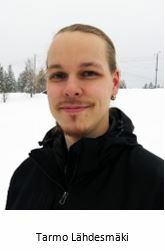 Smart Assemblies is essential for creating and managing assemblies,” Mr Lähdesmäki says. “There’s some setting up to do, but after that things become easy. Without the dynamic update, for example, making changes to multiple similar assemblies would be impossible,” he notes. Benefits have increased over time as the team has gained experience with the tools and as AGACAD regularly introduces new features and enhancements. The company is now fully competitive with firms that use other platforms like Tekla for precast element design in Revit, according to Mr Lähdesmäki. This client story is an example of how AGACAD works to help AEC industry participants secure more and more of BIM’s huge potential benefits. “We automate or eliminate unnecessary BIM tasks so our clients can focus on value-creating work,” says Donatas Aksomitas, the CEO of AGACAD. AGACAD is the developer of the world’s widest range of true BIM software for Revit® professionals, with 11,000+ users in 130 countries. Its solutions incorporate top practitioners’ insights and automate best practices in a spirit of ‘Building BIM Together’.